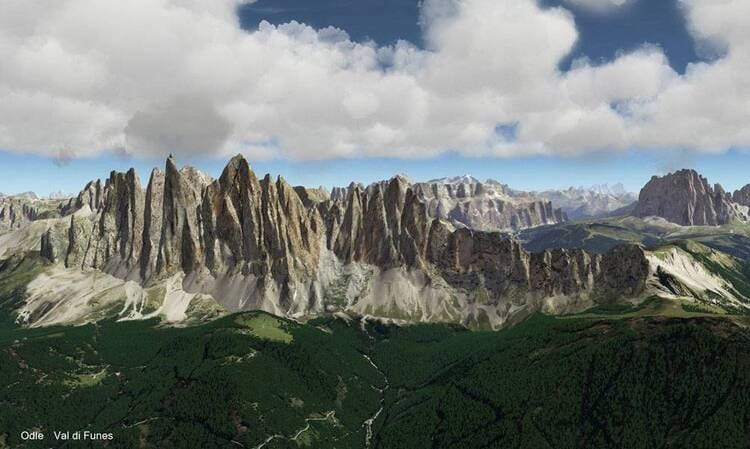 Dolomiti 3D Scenery is the result of years of deep love and respect for mountains, the integration of thousands of landscape pictures, color-corrected and harmonized orthophotos, and several highly optimized 3D models. 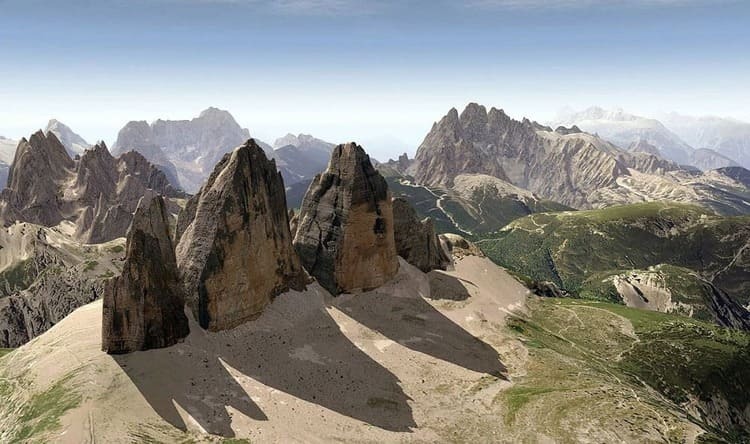 The Dolomiti 3D scenery covers a large geographical area: from the Dolomites of Sesto on the East to the Western Dolomites of the Sciliar on the West, down to the Brenta Dolomites on the southwest spur. As a whole, the scenery covers an area of over 5000 km2. 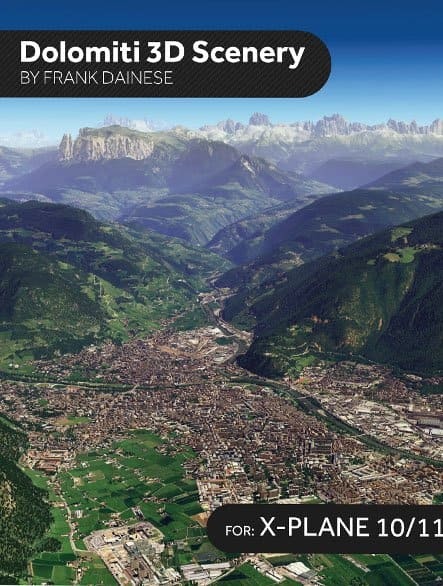 The geographical coverage areas include +046.12, +046.11 and +046.10 (limited to the Brenta Dolomites). 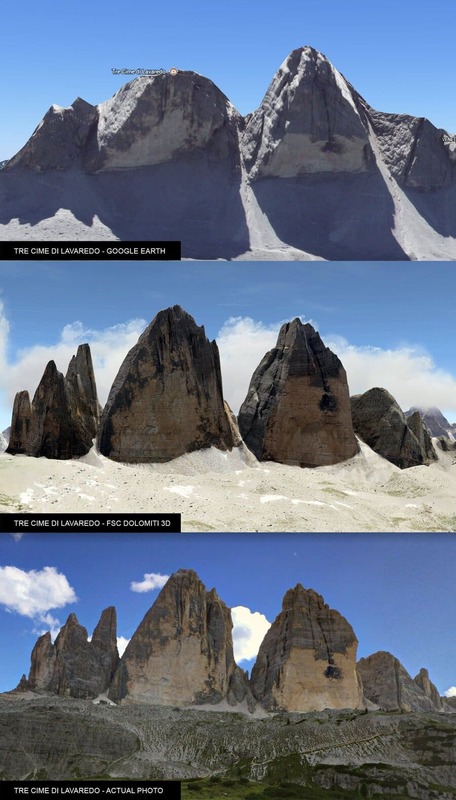 Altogether, the scenery includes 63 reconstructed 3D models, some of them being actual mountain peak groups (Brenta, Tofane, Baranci, Sella, Sassolungo, Odle etc). The orthophotos used for this scenery have a 50 cm/pixel resolution, which provides an excellent definition for flight simulation. The resulting textures were corrected and optimized, colours were adjusted to better fit into the 3D models, and wherever possible, shadows were removed from the textures. 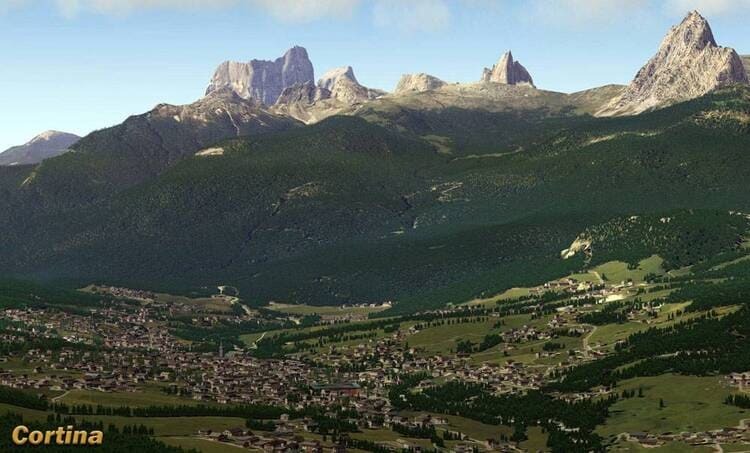 Flight Simulator Center is proud to introduce BELLUNO ADD-ON for FSC DOLOMITI 3D Scenery, now available for FREE downloading. 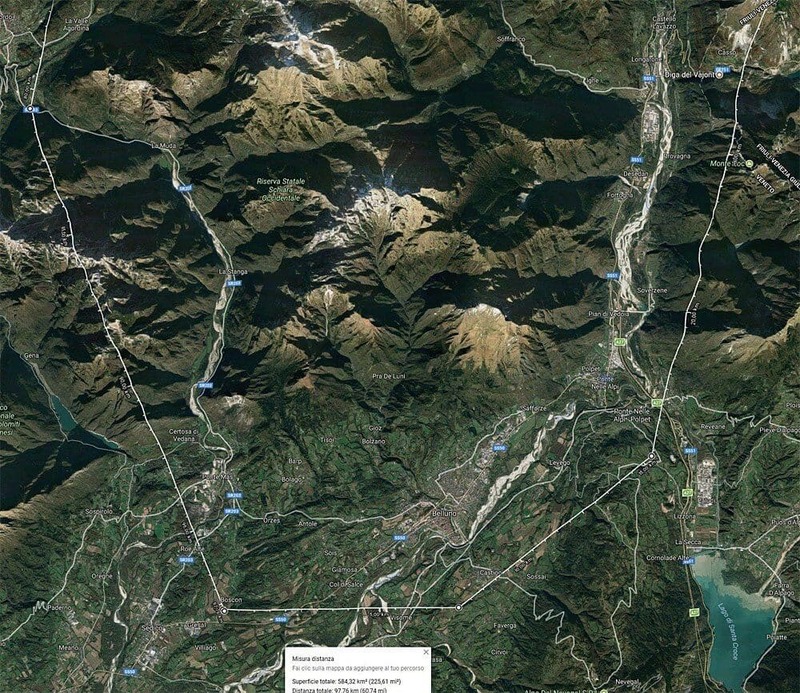 The ADD-ON, covers a large area of about 600 square Kms, south of Cadore and it is included in the +46.012 grade. It also includes some bug fixes regarding the main scenery. 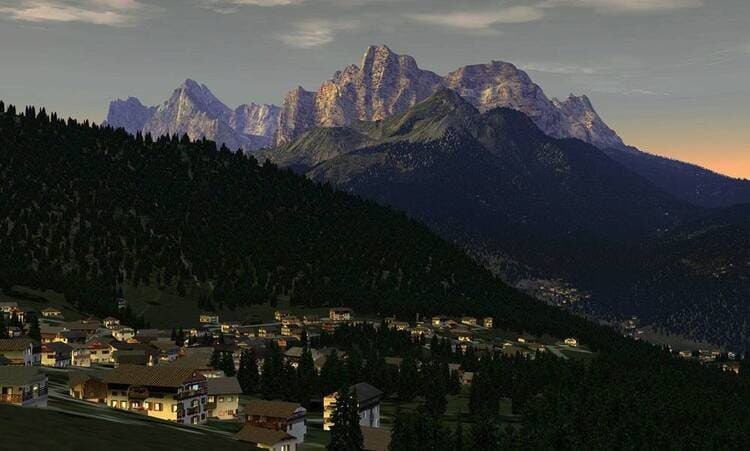 The download is available to all existing FSC Dolomiti 3D for XPlane possessors and for the future customers. To download the ADD-ON, you have to login to your FSC.IT account and click on YOUR ORDERS > button. 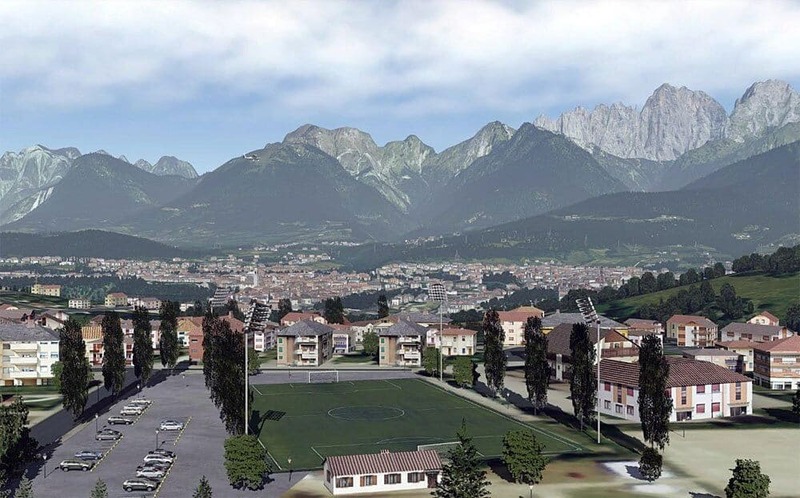 Then, you will find the BELLUNO ADD-ON download link under the FSC DOLOMITI 3D item. 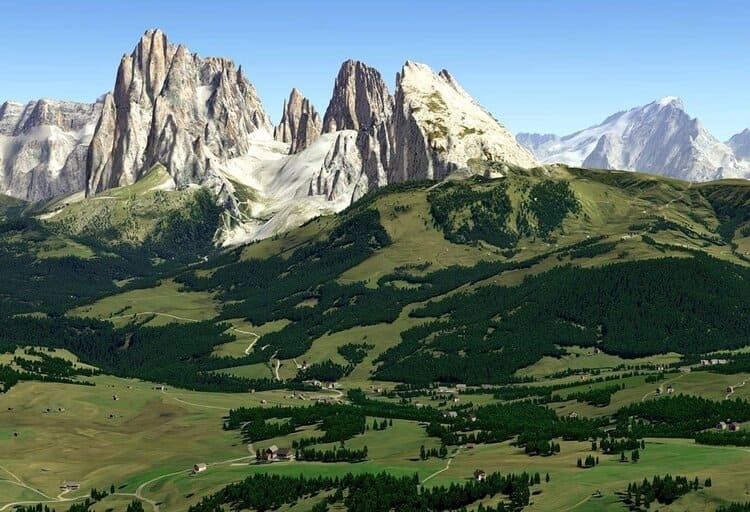 The Dolomites are unique kind of mountain ranges made of hundreds of valleys, peaks, ridges and spikes. With traditional orthophoto-based sceneries, steep and vertical surfaces are unaccurate and out-of-focus looking. 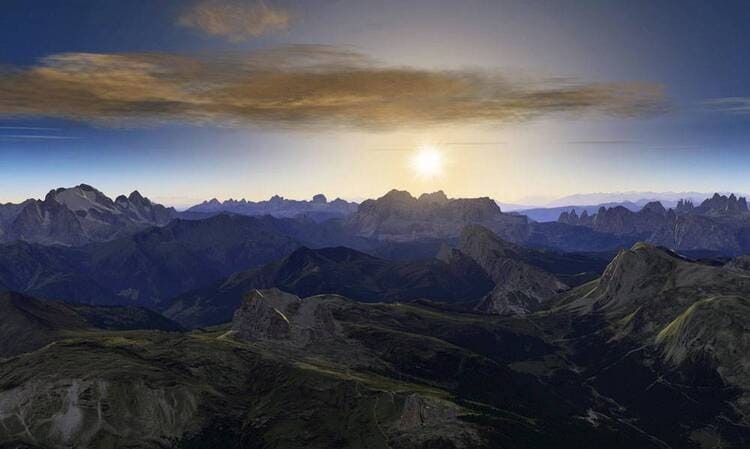 The use of separate, highly detailed 3D mountain models is an excellent approach to overcome this limitation. 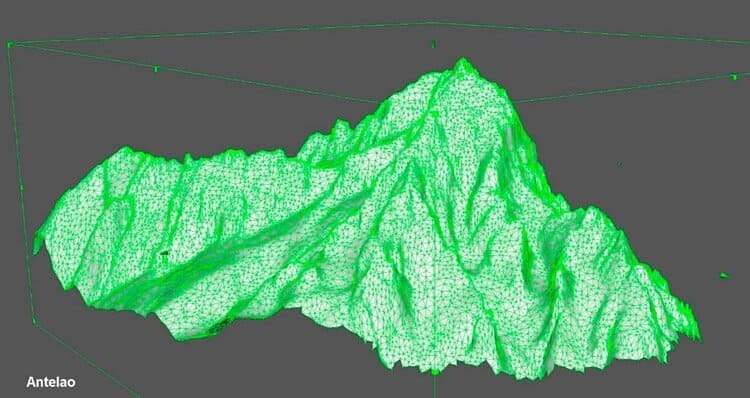 The 3D mountain models are derived using Digital Elevation Models (DEMs) and are converted into 3D Objects as if they were very large buildings with hundreds of thousands of triangles. Applying textures to 3D models (texturing) is certainly the most delicate and arduous part of the design process. First of all, a high level of experience and knowledge in texture mapping is needed in order to identify which areas the photo textures should be applied to. Familiarity with the original site is also crucial. Retrieving all the required photographic material from which textures are eventually created on site is also of vital importance. All textures in the scenery have been reworked in order to remove any unnecessary (and sometimes inevitable) shadows between the rocks. In this way, 3D models will provide the correct shadow based on the simulator time chosen by the user. The final result is both aestetically pleasing and life-like. Thus for a better VFR flight experience. 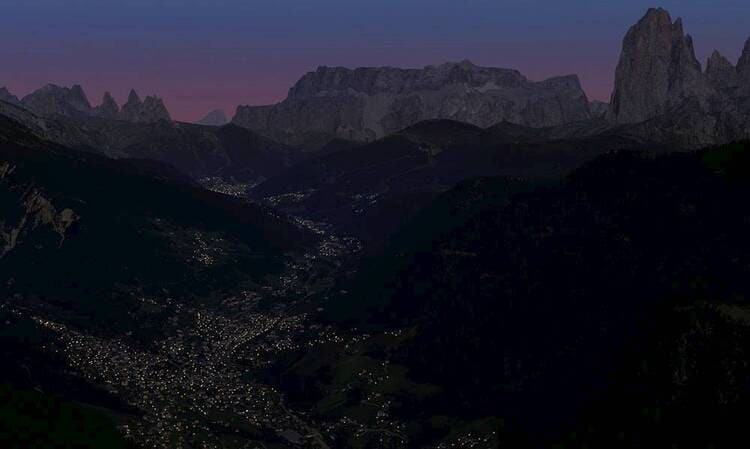 Dolomiti 3D - Textures are optimized for X-Plane light effects. The vegetation was carefully rendered with coniferous (prevalent) and wide leave trees. A vector-oriented method was used, with hundreds of polygons (each for any wooded area), which were then filled with the typical vegetation of the site. 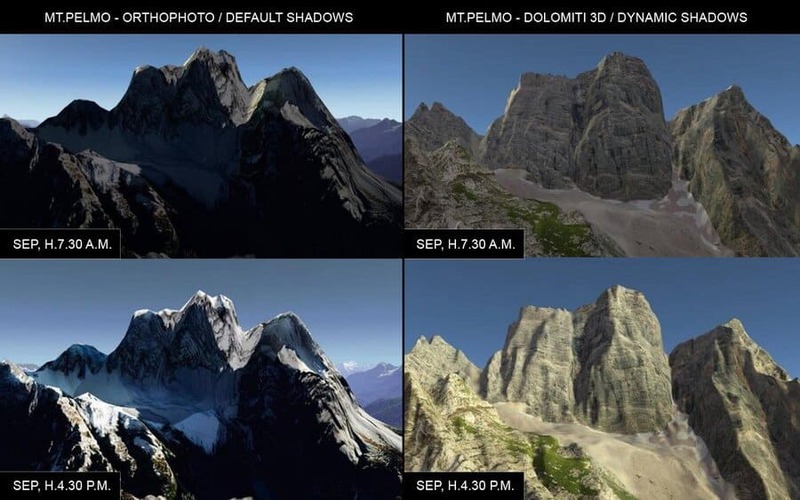 Dolomiti 3D - Vegetation areas reconstruction. 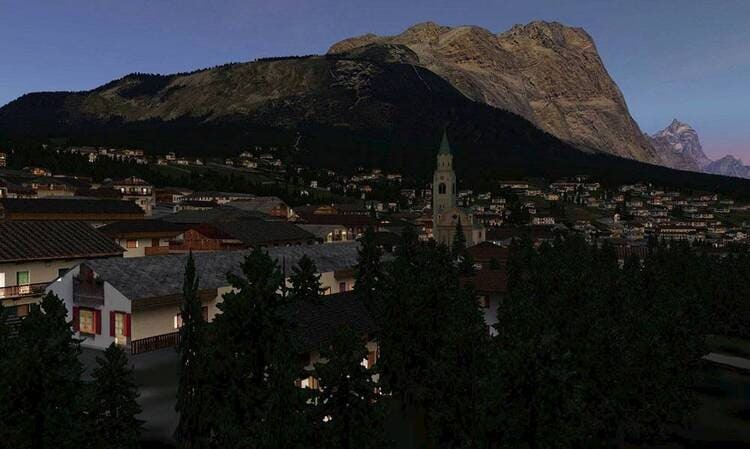 FSC DOLOMITI 3D - Cities, villages and 3D buildings. All residential areas were carefully reproduced. Special attention was given to the valleys. Over one hundred 3D building models were used in this scenery in order to reproduce all of the most typical mountain dwellings, houses, chalets, lodges etc. 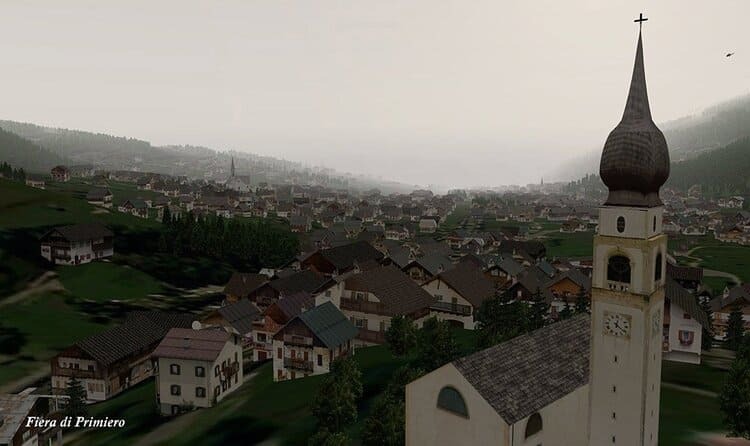 Over 80 mountain villages are entirely and accurately covered in the scenery, using simplified yet clearly recognizable models. Particular care was devoted to the reproduction of all village churches, especially to the shape and features of their bell towers. Not only do these details provide an accurate rendition of their real-world counterparts: they also offer an essential visual reference point for VFR, as they do in the real world. 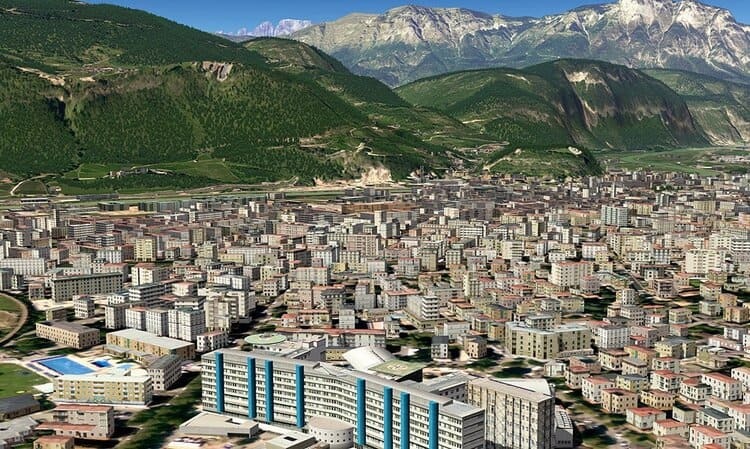 Dolomiti 3D - Buildings reconstruction - Trento Hospital. 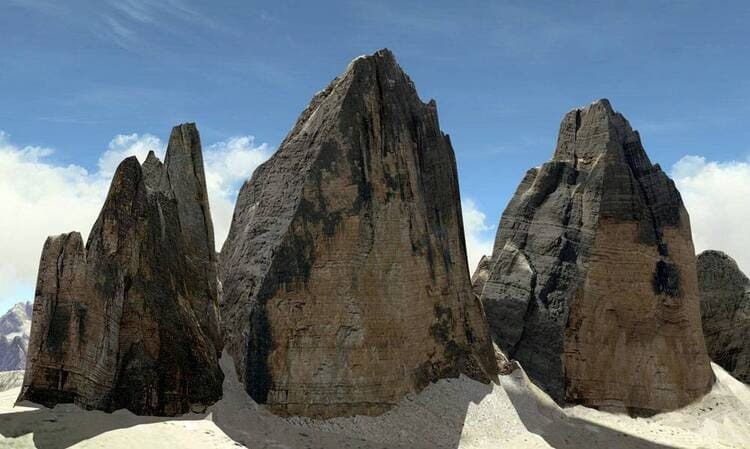 Dolomiti 3D - Bell towers are all custiomized - Fiera di Primiero Church. 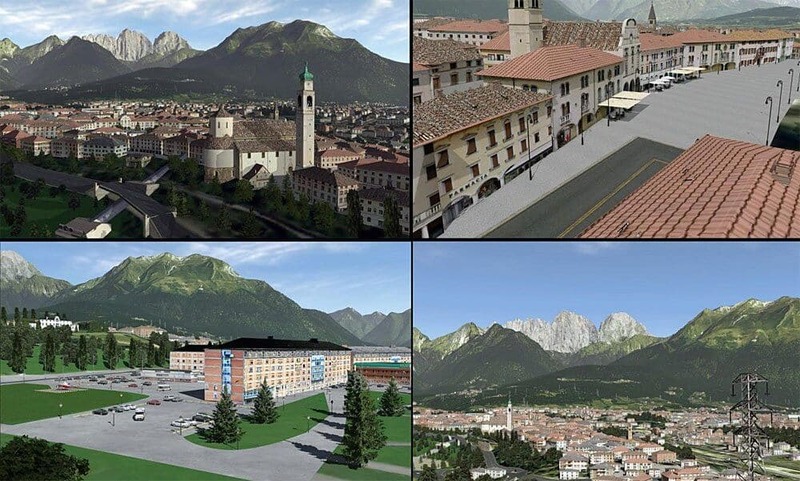 The cities of Bolzano and Trento have been completely and faithfully rendered with thousands of 3D buildings. Given the significant amount of 3D buildings used, in most cases shapes were simplified in order to prevent an extra and unnecessary load on the simulator, whilst maintaining overall eye-catching visuals. All main monuments, buildings, churches and other characteristic city sites have been accurately rendered. In Trento, the residential district of Le Albere with the “Muse” (Museum of Science) planned by the Italian architect Renzo Piano, the stadium, the Mausoleum dedicated to Cesare Battisti, the castle complex of Buonconsiglio, the Duomo etc. 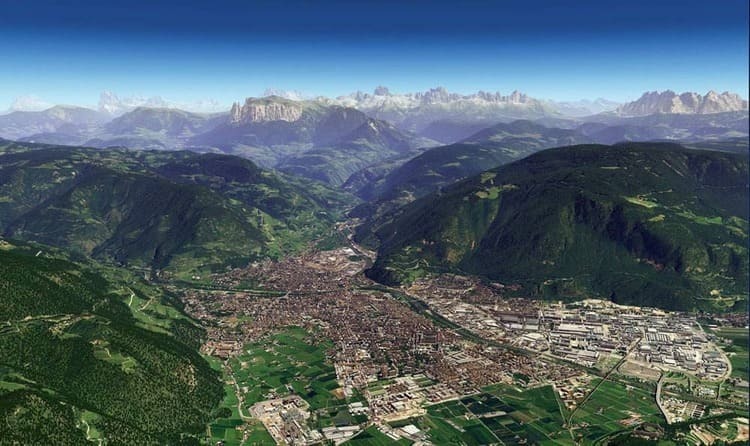 In Bolzano, the firefighter station, the sport hall, the ancient hamlet of Maria Heim, the Mareccio Castle, the Museum of Modern Art, the Duomo with the nearby Piazza, the Town Hall, the Druso Stadium, the Coni Stadium, the Victory Monument and many others. 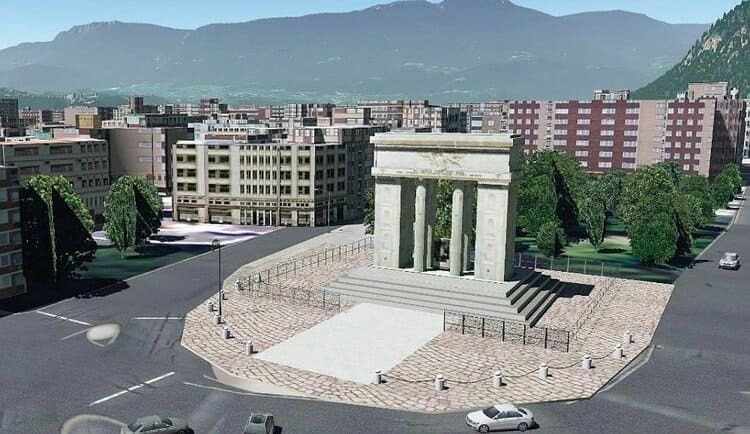 Dolomiti 3D - Bulidings - Monumento alla Vittoria - Bolzano. 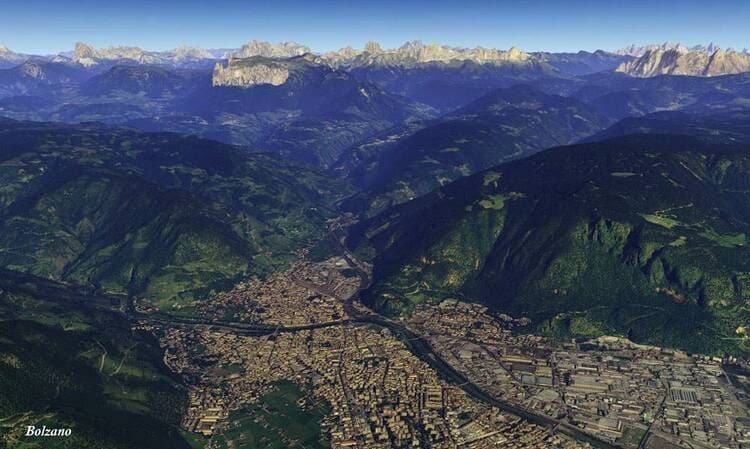 Dolomiti 3D - Le Albere - Renzo Piano - Trento. 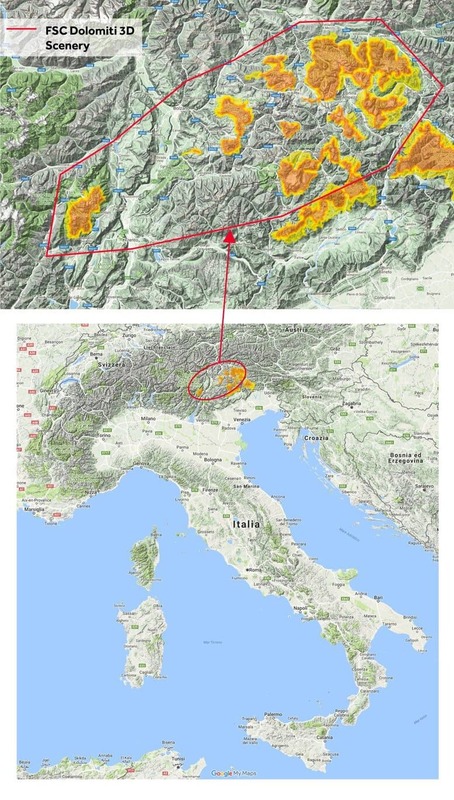 Particular attention was given in order to produce both of the main airports in the Dolomites area: Trento (LIDT) and Bolzano (LIPB). All of the main airport areas, including runways, taxiways, aprons, ramps, parking lots, terminals, hangars and all of the other typical items used for flight simulation were reproduced with appropriate and accurate 3D models. 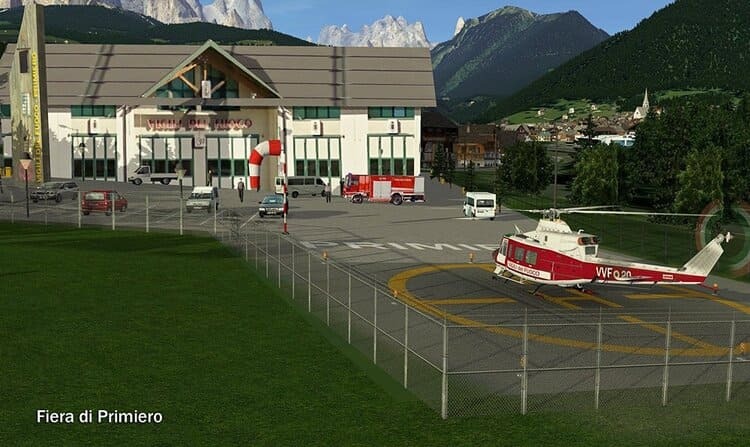 Similarly, for the airstrips of Cortina d’Ampezzo (LIDI) and Dobbiaco (LIVD), all required buildings and equipment have been added to the scenery. 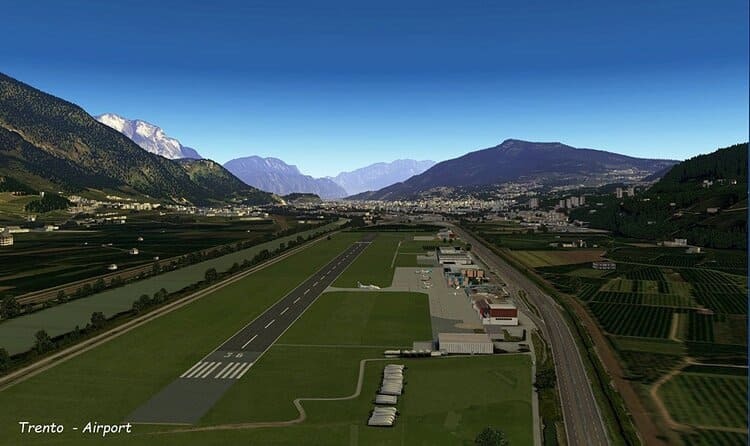 Dolomiti 3D - Bolzano Airport. 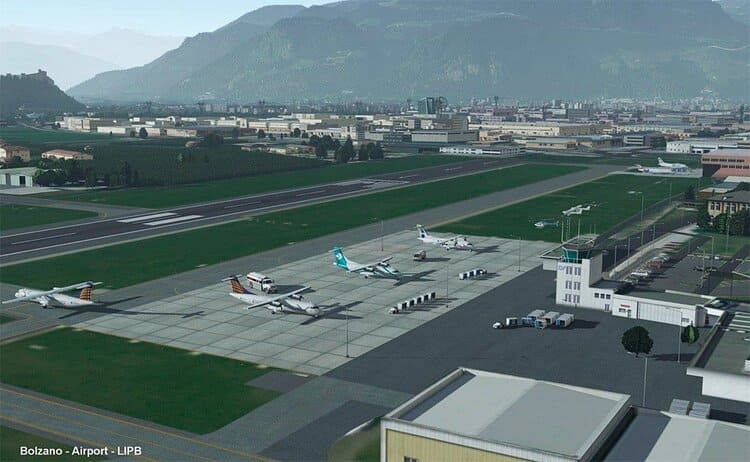 Dolomiti 3D - Trento Airport. Given the unique features of this scenery, which is unquestionably better suited for visual flight (VFR), great attention was given to the heliports (40). These are located in several strategic areas and allow even short flights in the range of 10-15 minutes. Some of these helipads are fictional and are only intended as a landing or take-off base for flying over some especially attractive areas. However, most of these represent their real world counterparts. In particular, seven ENAC-certified, night flight suitable helipads are included, like those for hospitals (Trento, Bolzano, Pieve di Cadore) and fire-fighters (Fai della Paganella, Pozza di Fassa, Campiglio, Fiera di Primiero). 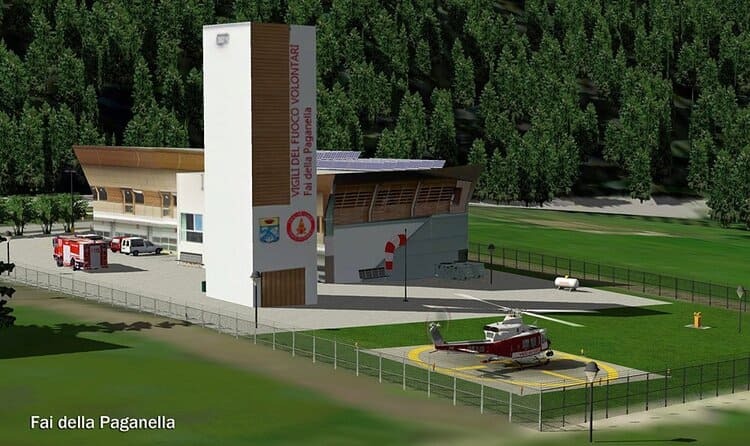 Dolomiti 3D - Helipad - Fiera di Primiero. 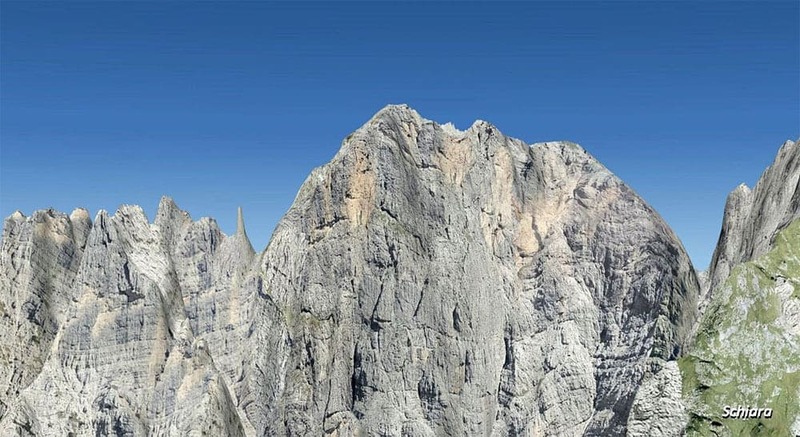 Dolomiti 3D - Helipad - Fai della Paganella.